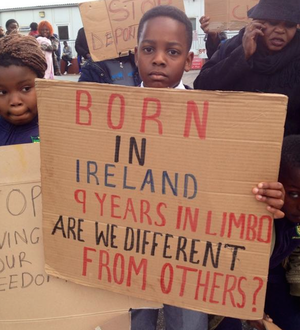 You’ll recall how 4,360 people are living in the direct provision system in Ireland – a third of whom is children. A new report by the Oireachtas Joint Committee for Public Service Oversight and Petitions will be published today. “The committee visited four centres in Dublin, Galway, Limerick and Meath. 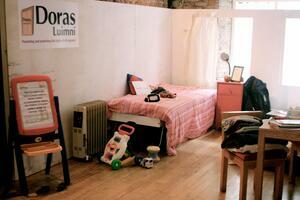 It described the living conditions as “intolerable” and “cramped”, with little private space for parents with children. It said many of the children living in the centres were born in Ireland but do not enjoy the same rights as other Irish children. Posted in Misc and tagged Direct Provision, not fit for purpose at 12:02 pm on May 7, 2015 by Broadsheet. Stop having kids to try and strengthen your hand. Your only in direct provision for 11 years if you keep reappealing a immigration refusal. Harsh though it sounds, I’m in agreement. While struggling for a basic standard of living for oneself, and/or family, making babies seems irresponsible. Fair point. Plus many couples have an aversion to using contraceptives. I know there was a scheme to try and improve access to contraception but not sure if it was widely rolled out or not. Seems like a pack of condoms is a simple enough thing you can supply people with to help them out a bit. I have a genuine question – How does this system work?? . 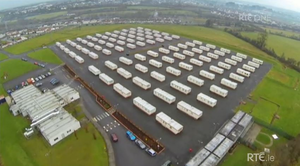 Can someone in direct provision individually ask to try to go another country eg UK, Spain, Italy etc or are they confined to these provision centres until they are deported? Or do the Irish authorities try to get them moved to another country etc or just send them back to their country of origin? Well, they could wait until they die of malnutrition, suicide, disease etc. Thats how concentration camps work isnt it ? Said this a year ago but I’ll repeat it. We need to tell Europe to f off and stop trying to meet their expected refugee numbers we deal with. We need to reduce it to an amount that the budget can deal with in a timely manner and provide adequate accommodation for them. It’s the only sensible solution cause I sure can’t see any other one unless they get an increased budget and that means hitting the tax payer and I that won’t wash well with the public. This is typical government behaviour. They franchise out the issue of accommodation to businesses and fail to manage them. Personally I think some of these providers are making more than good money out of this situation. Hearing should be granted to asylum seekers if they cooperate 100% truthfully with the authorities. Decisions should be granted within three months. If someone decides to appeal the decision – the decision should be given within three months and it should be final. There should be no more Pamela’s.